Ready for the next Nu Moods? A night showcasing a jam sesh that will span the genres of neo-soul, classic jazz, contemporary jazz, broken beat, funk, and hip hop. 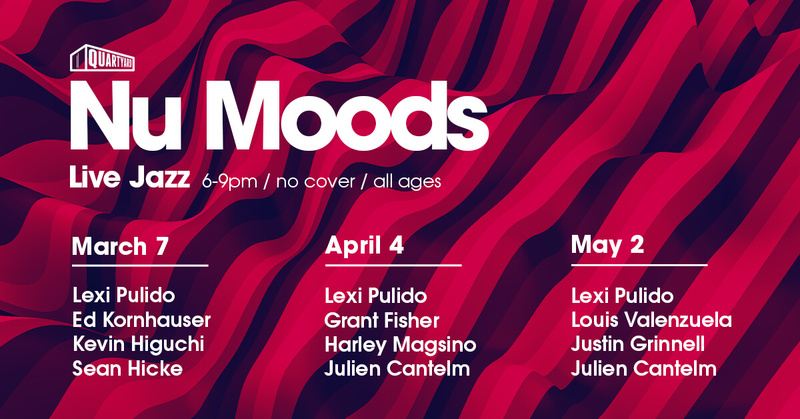 Get excited for the upcoming Nu Moods musicians for April and May! Want to participate? It’s easy! Bring your instrument to the venue and write your name on the list, it’s that easy!